On Saturday July 7, the Kenya Simbas played against the Uganda Cranes during the 2018 Rugby Africa Gold Cup, a qualifier for the 2019 Rugby World Cup in Japan. Kenya beat the neighbors 38-22 to bag their third win of the Africa Gold Cup. Kenya scored five converted tries and one penalty against Uganda’s four tries and one conversion. For the win, Kenya picks four points in the Africa Gold Cup to stay second with 12 as Namibia leads with 15. Kenya’s five tries were scored by winger Jacob Ojee, captain Davies Chenge, half-back Samson Onsomu, winger Felix Ayange and prop Moses Amusala with Darwin Mukidza converting all. Kabras Sugar winger Philip Wokorach scored two tries with centre Michael Wokorach and fly-half Ivan Magomu also getting on the score-sheet. Returning winger Jacob Ojee got things going for Kenya with his first try of 2018 with vice-captain converting to ensure a perfect start for the home side. 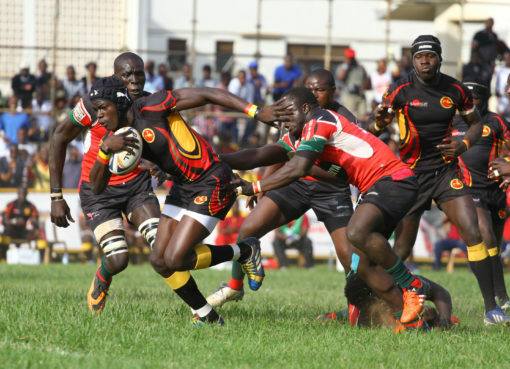 Philip Wokorach, who plays his professional rugby with Kenyan side Kabras Sugar, gave Uganda first try but he sent the conversion wide only for Kenyan captain Davies Chenge to to double Kenya’s lead. Scrum-half Samson Onsomu and winger Felix Ayange’s back to back tries saw Kenya lead 28-5 at the break. Uganda got life going in the second half scoring through Ivan Magomu and Michael Wokorach to move the score to 17-31 with Philip Wokorach adding his second to reduce he deficit to 22-31. 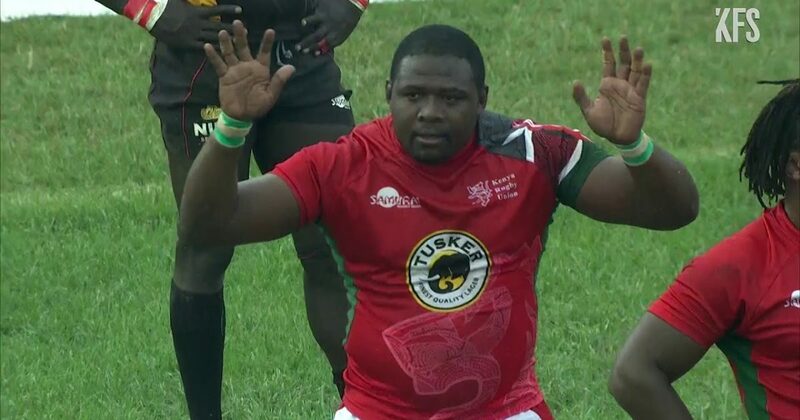 A late try from substitute Moses Amusala ensured Kenya pick a 38-22 win over Uganda whose chances of qualifying for the World Cup now hang on the balance. Uganda Coach John Duncan admitted their chances of direct qualification to the World Cup may go gone after losing their second game with focus now set to turn to the global repechage. Kenya assistant coach Murray Roulston was pleased with the win against a strong Ugandan side that would have completed a comeback but time was not on their side. Uganda’s next game will be against Tunisia on August 4, 2018 in what will be their first home game of the season.